ATLANTA -- Arby's is buying casual dining chain Buffalo Wild Wings in a deal worth about $2.4 billion. Arby's Restaurant Group Inc. said Tuesday that it will pay $157 per share. That's a 7 percent premium to Buffalo Wild Wings Inc.'s Monday closing price of $146.40. The companies put the transaction's value at $2.9 billion, including debt. 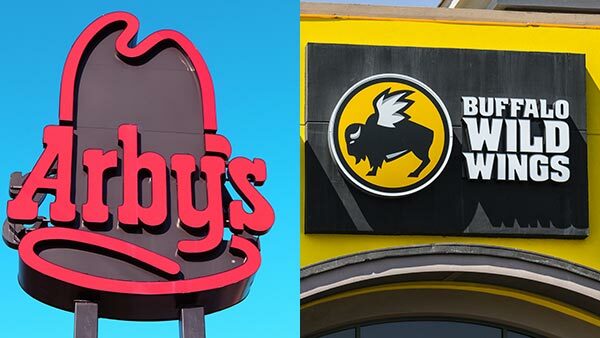 Once the deal closes Buffalo Wild Wing will become a privately held subsidiary of Arby's and will continue to operate as an independent brand. The deal is expected to close in 2018's first quarter. It still needs the approval of Buffalo Wild Wings shareholders. Shares of Buffalo Wild Wings jumped more than 6 percent in premarket trading.